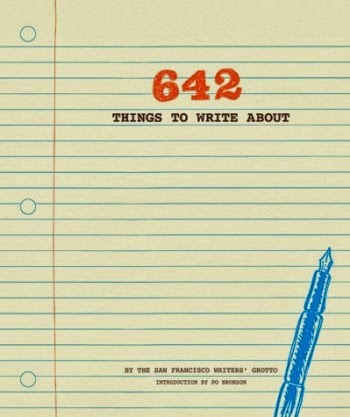 642 Things to Write About: Young Writer's Edition is brilliantly simple, supremely fun and, best of all, brought to you by the creative, compassionate folks a 826 Valencia, the San Francisco branch (and flagship location) of 826 National, a nonprofit organization that provides strategic leadership, administration, and other resources to ensure the success of its network of eight writing and tutoring centers. 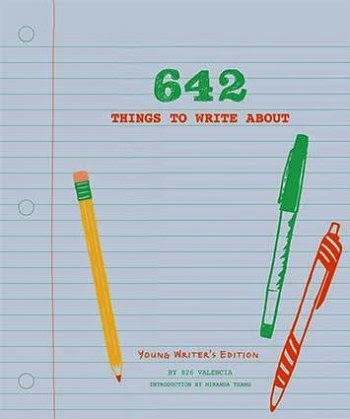 642 writing prompts fill the pages of 642 Things to Write About: Young Writer's Edition. The pages are mostly lined, but do have the occasional unlined page divided into four sections with four prompts for a more free-style kind of writing. 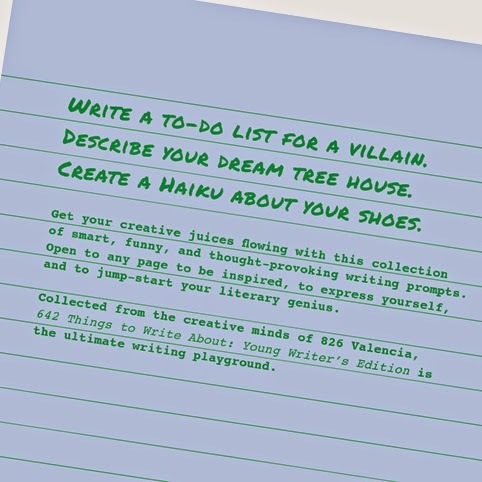 Each prompt is deeply creative and very fun to contemplate the write about. 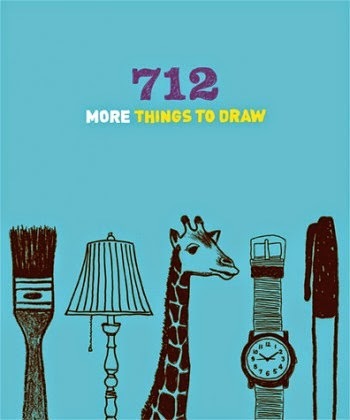 I have no doubt that this book will excite a child who already like to write and inspire one who doesn't. . . Explain to a gold miner from 1849 how e-mail works. Rewrite a fairy tale from the point of view of one of the less important characters. I wish I hadn't . . . Tomorrow you will be dropped off at the airport with a suitcase filled with money. You're told to go anywhere you want. Where do you go? What people, recipes, dishes and decorations always seem to turn up during the holidays? What do you like best about those things? What would you like to replace with something new? Why is everyone walking backwards? 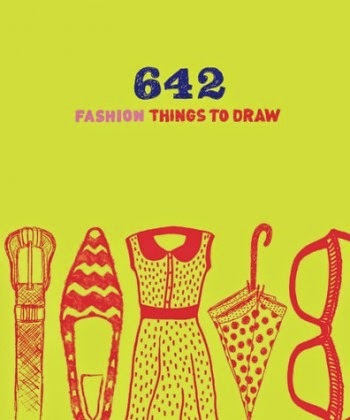 More ways to get those creative juices flowing!